After a large brunch buffet earlier in the day, I was keeping dinner simple, it was just my husband and I as the kids were both out. We were camped out in front of the TV and were ready for some red wine. 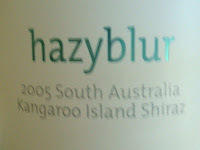 My husband opted to open a bottle of 2005 Hazyblur South Australia Kangaroo Island Shiraz. I tossed a salad (lettuce from the garden, grated white cheddar, chopped roasted red pepper and green onion, tossed with Balsamic vinaigrette) and topped it with warmed up slices of our leftover tenderloin that we had brought home from the wine dinner on Friday. In the glass, the wine appeared almost black with a ruby rim. Aromas of smoke, bacon and licorice were prevalent. Flavors were of black raspberry and blackberry with hints of smoked meat. 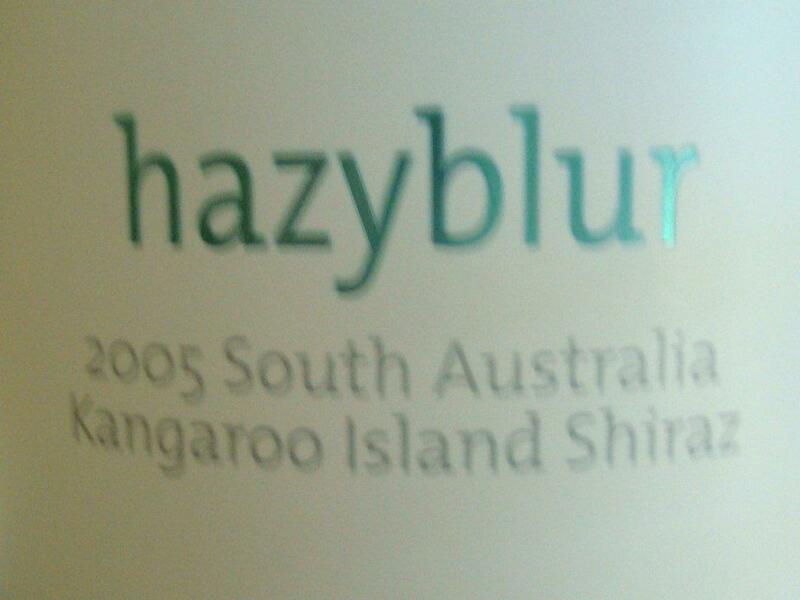 It was medium+ bodied with moderate acidity, medium tannins and 14.9% abv. It had a medium+ lengthed peppery finish. Overall, a very enjoyable wine and a nice complement to our "leftovers".